The last official Texas Cup tournament was held more than 14 years ago. It was comprised of the top Texas academies: Newks, Austin Tennis Academy, T Bar M, Brookhaven, King Daddy, and St. Stephens. Each academy brought a lineup of their top girls and boys, just like college tennis, but instead of 6 there were 8 and 4 doubles teams for both boys and girls. The tournament was held in Waco, where we all met in the middle of the state at the beautiful Waco Regional Tennis Center. Each academy was encouraged to bring as many kids and parents as possible, in addition to the competing lineup, to create a college tennis-type atmosphere. It was by far the highlight of the year back when I was training at Newks. Come spring time, all anyone could talk about was fighting for a lineup spot and a prestigious shot at playing for Newks at Texas Cup. Practice matches turned into challenge matches where lineup spots were in jeopardy and the pressure was high to make the cut. On any given day, someone could work their way in or out – even three weeks before the tournament! When the tournament finally came in late April, our lineups were set, and the entire academy loaded up into 10 or 12 huge vans. Parents followed along in their cars to Waco. I would say we had at about 100-150 supporters traveling with the Newks squad. It was truly an amazing experience – all of it. We all packed into one hotel, four to a room. It was the best of times I had at Newks; having the whole academy there, with all the coaches gearing up to shut down the other academies who had boasted about being better than us. I mean, what could possibly be better than that weekend? For the 3 or 4 years I was part of the Texas Cup during my high school years, we dominated the event. We competed against Austin Tennis Academy each year – they had the closest chance of giving us a good run for our money. They had some top players, boys and girls, from Texas and beyond, so it was a pretty deep lineup. They competed hard, similar to our players on the court, and we had some great finals with them. But we were just too deep, and our players were just simply more match-tough. We played, just like we do now, three full matches a week; not sets, not points, but full matches. We were known for doing this, and were probably one of the first academies to implement so much match-play. When we went to Texas Cup, our experience in match-play shined in our ability to play well in a high-pressure environment. 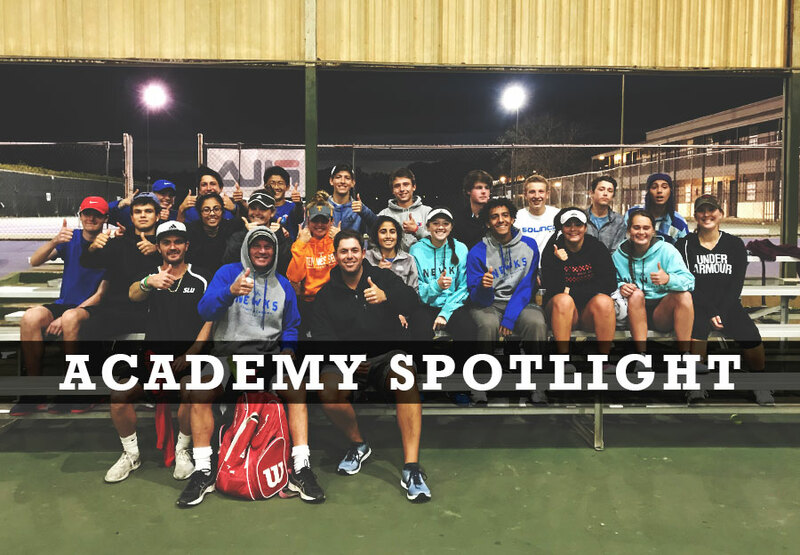 Last month, ATA came to the Ranch and we played them in a college-style match – our top six boys and girls vs theirs. It was truly awesome, and really motivated our students – who play matches here in the academy every day -to make the lineup next time. It was something new, fun, and also intense and it brought back the Texas Cup. ATA was a worthy opponent. Their players were very respectful, and the tennis was clean and good. Phil took the Newks team and the ATA team to Chik-Fil-A afterwards and both academies bonded. The relationship now is different than it was then when I played. We hated ATA and wanted to beat them badly at Texas Cup – there was much more tension. Now, I think both academies have shown mutual respect for each other and it’s more about coming together to help make our players stronger and give them more intermural competition. It’s pretty incredible to see, honestly. Oh, and if you are wondering who won the match… we did, but it was close. We won the majority of singles, but ATA won most of the doubles. Bringing it back, we pulled it out 10-8 for the final score. We will play them again soon, but with our 2nd tier players; six boys and six girls. It should be great! Please come out and watch if you can!